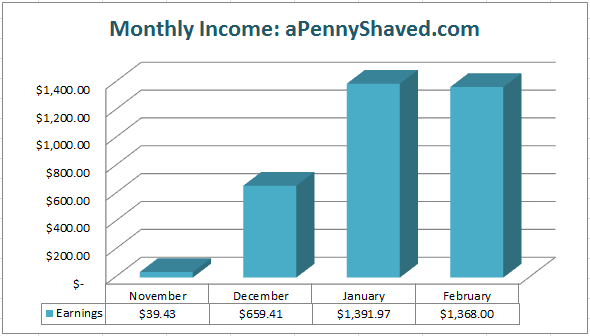 So, believe it or not; its time for another income report for aPennyShaved.com! As you may recall, aPennyShaved.com is the site that Perrin created as part of Niche Site Project 2. I simply coached Perrin along the way, and he's done all the actual work and built a pretty impressive site! I know that I mentioned in a recent podcast that we had completed our last official coaching call. While that is true, I still plan on providing at least these monthly income reports for the next little while. Perrin is going to share a brief update on what he's does for the site recently, but for the most part the strategy remains the same and the site continues to do well. I also wanted to just reflect for a moment about how far we have come. When I initially conceived of the idea of holding a second niche site project, I left the voting completely up to YOU the readers as to what the idea would be and then ultimately who my student would be for the project. Its by pure chance that Perrin's name came up as one of the 10 finalists for this project. I used a simple random number generator within an Excel file to sort all the student applicants (over 600 if I recall correctly). That random sort of names, led to the finalists, and again all of YOU the readers chose Perrin the final student. What can I say, you chose wisely! The project has been a huge success, and has dramatically changed the course of Perrin's life and my business. Partially due to the success of this project, I made Perrin a job offer a few months ago, and we have been working together full-time now for almost 3 months! If someone would have told me 6 months ago, that I was going to hire one of my blog readers that I had never met before, I wouldn't have believed them. But alas, such is the awesomeness of the internet! Perrin and I have built a number of niche sites over the past few months, and have other major projects in the works (one of which is Vylo). But it all started with this one small niche site, and aPennyShaved.com continues to have success and is enjoyable to see the monthly reports. So, with that, I'll let Perrin take it away to review how the site performed in February. Hey guys! Time for another income report. And, really, not much has changed since the last income report. In fact, I finished this month at about the same as last month. And that’s awesome! I’m still super pumped about the success of the site. 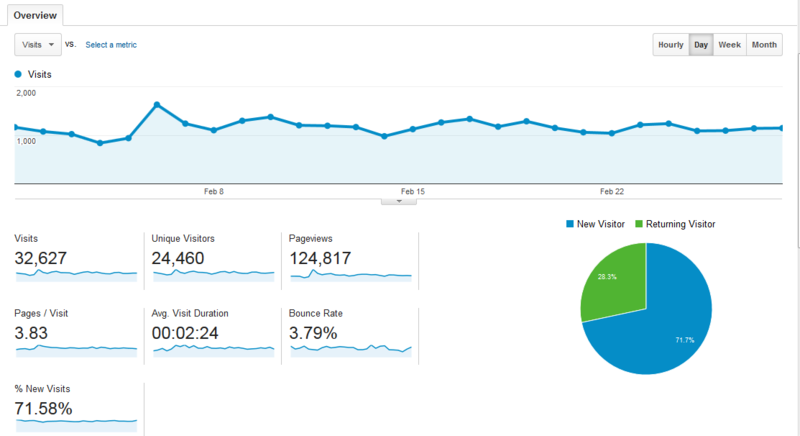 Around the end of the first week of the month, I noticed my traffic heading down a steep decline. I went from about 1,400 visitors a day to about 800. Even scarier, I noticed that my impressions and queries were also taking a nosedive. It wasn’t too long before all of that was reflected in my earnings; I went from earning around $40/day to earning $10 or less. Needless to say, I was kind of freaked. I hadn’t changed anything on the site, so I figured it was something to do with the backlinks. At first, I was scared I’d been attacked (mostly because I’ve been paranoid about it – ha). Luckily, that wasn’t the case. And (also luckily), it didn’t take me too long to find the problem. So what was it? Well, I was looking at my backlinks in Majestic SEO, and I noticed that one of my best backlinks – a link I’d secured through link baiting and networking – had been deleted. Uh oh. I headed over to the site and saw that the webmaster had deleted his blogroll and moved all his links over to a brand new page, forgetting mine in the process. This had a couple implications. First, obviously, my link was gone. Second, though, even if I did get my link back, it’d be a brand new page buried deep in the site, which meant the PA would be less than 20. So, it really wasn’t worth my time to go try to get that link back, since it probably wouldn’t help me recover. My solution was simple. I just threw 10 more Rank Hero links at the site. I’m now certainly over my initial $500 budget, which we outlined in the very first call for Niche Site Project 2. And, as you know, I’ve been trying really hard to stick to the budget, since I want this to be a case study anyone can emulate. So why did I go over? Because I’m earning money! After thinking about it, I realized that the $500 budget is really only a spending cap on a brand new site – the amount you want to spend to make a site work. Rank Hero works. I didn’t do anything else to recover the site. Spending money to maintain an established site can make you money in the long run, so don’t be scared to pull the trigger! Anyway, overall, I’m still really excited about and proud of the site. Checking the earnings everyday still hasn’t gotten old, and I’m working hard on my second site. Massive show of how powerful blog networks are! Also a major pitch for Rank Hero… Fair play, we all know it works. +$1000 in four months is admirable. Well done Perrin! It truly is inspiring to follow your niche site project. The site is awesome, but a bounce rate of 3.5%? Are you sure you haven’t added the tracking code twice? I did just that, and that’s the only time I’ve gotten such a low bounce rate (All-in One SEO plugin + manually added by me in the Header code). Hmm, we’ll have to look into that. I think you are right, we did play around with Google analytics a couple months ago and very well could be causing the low bounce rate. Congrats on the earnings man. Way to keep up with your sites performance and take action. Hopefully soon my earning will be up there with you bud! Quick question. I noticed in the podcast with doug’s comments he mentions semalt. What is that. I mean I know what it is (some kind of analytics or something) but have you been getting visits from them? Whats the deal with that? Anyone have any idea? And nope; not too familiar with SEMalt. Oh yea and my two cents on the bounce rate… Great sites have a great (low) bounce rate. Heck I almost bought a shaver when I was checking it out. Lol. Great earnings Perrin and nice job on recognizing the cause of the drop in traffic and for recovering so quickly. Keep up the great work! The primary skill in SEO, I think, is problem solving. So it’s official then. The ONLY way to rank a niche site currently is to use a PBN. That’s a shame. I wonder how well Perrin your site would had faired without these purchased/ unnatural links? Not even half as well I would expect. Its not the only way, but definitely one of the easiest and most effective right now. Who knows! After this project, I’ve been busy setting up my own PBN and testing various link packages. It’s very possible to build sites with zero purchased links, but you generally need a lot more content, super duper high-quality content and maybe even a few connections in your market. So, that may be a better strategy for longer-term authority sites, but for a site like this, buying links certainly makes the most sense. Definitely not the only way! I have 3 sites ranking really well, and one is quite competitive and I don’t have a single PBN backlink. While I agree that it can definitely work fast, it’s not necessary and I’ve proven it to myself time and time again. I bet Perrin still would be ranking really well even if not as good or quickly. Well done! I looking forward to your software development project. You could say that was a “close shave” with your traffic drop! Any chance in the future of doing a condensed write-up of all the coaching calls hitting just the main points? I know it might be a little time intensive, but it sure would be a tremendous help as a reference guide. Well done to you and Spencer and keep up the good work. This is simply amazing. Another awesome month Perrin and I am so happy for your progress. Great update Perrin. What an awesome example of how to create an awesome resource that is designed well and so profitable in such a short amount of time. Great job selecting your niche! Keyword research done well. This prices for RankHero plans are for a year, month? Which niches are included? You mentioned about Rank Hero. Is this a long term process? What if your visitors decline again 2 months later? Great to see the site still having quite a huge ROI. How many Rank Hero links do you have now? Funny enough my site also did a bit of a dive first week of February and it also had to do with my link building service. Hey man 🙂 I have about 10 from RH now. Really pleased to see your niche site on the high again. After reading your last post on Niche 2 I thought may be some one had bombed your Link Building Campaign. Good to see it’s not the case. Can I ask you how you have built your recovery links through PBN? All your new links point to homepage or to deep pages too? And what about anchors text? I second this…..would really like to know the strategy you used to recover. Did you use non-primary keyword anchor text mostly to deep pages or to your homepage? The exact same as I did before. One to each of my two primary articles. Nothing fancy! Spencer and Perrin, what you’re accomplishing with your niche site in such a short period of time is outstanding and definitely encouraging. Keep up the good work!!! 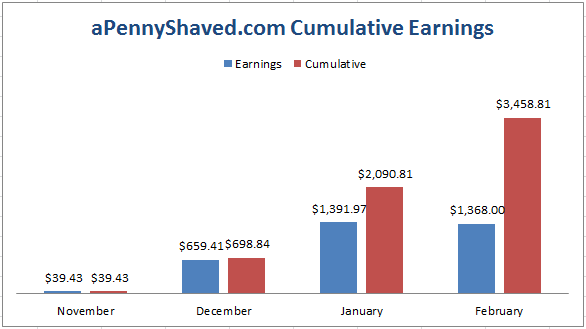 So, how much are your total monthly expenses for your apennyshaved site? P.S. I’m so tempted to go with your PBN for a couple of my sites, but will hold off….for now. Would love to have one or both of you on one of my podcasts. waaw that great , my niche website in the 6 place in google. Well done, Perrin! On all accounts… I think it’s the best feeling to see a site being consistent in its earnings. I guess this is what we all building niche sites work for. And then of course, NICE save! Yeah, I can definitely see the power of Rank Hero, and alas, this will be my first month to try it out on my first niche site. Thus far I am averaging around 30 visitors per day but almost all of my traffic comes from referrals. I am climbing the rankings steadily with my links being discovered slowly by the bots… I’ve only used blog commenting and RSS directory submissions so far, with one or two good mentions by relationships I’ve built since starting up. The NICE thing is though, I’m busy writing a guide which I will add to my arsenal of monetization of the site and I’ve contacted a couple of bloggers in my niche who’m I’ve built good relationships with through commenting. I asked them if they would be interested in reviewing my guide in exchange to be added to my guide’s sales page! And…it worked like a charm! So they will review it on their sites (which will include a dofollow link 😉 ), plus I get to use an excerpt of their reviews as testimonials on my sales page. SUPER excited to start earning! Good luck and keep us updated with your progress buddy! That’s great Ruan…keep up the great work! Well done Perrin … Congratulations ! This is really motivating. Though I am not sure, if I would be able to make such a successful niche site ever. That’s EXACTLY what I was saying 6 months ago. Never say never dude! Cracking news and congrats on the quick recovery Perrin. I hope it continues to grow for you along with the other sites your working on. Although this is an interesting case study, I don’t think the results are valid. This site saw HUGE exposure on this blog, no doubt driving visitors and and the creation of links that the average niche site builder wouldn’t see. While I’m pleased to see Perrin’s success, there are going to be a lot of disappointed people who mimic this process and won’t see similar success. Of my traffic in the last 30 days, 27,000 of it is organic. Plus, I don’t think all the Niche Pursuits community suddenly decided to buy razors. It should also be noted that we’ve never linked to my site from Niche Pursuits. Lastly, I’m involved in a private SEO mastermind group, and many of those guys make a LOT more than I do. Oh, it absolutely can be done, I’ve done it and so have many, many others. But if you don’t think your participation in this case study/blog didn’t put you WAY ahead of the curve, you aren’t being honest with yourself. I understand what you are saying, but disagree that others can’t replicate this. In fact, I and many other have replicated this process privately many times and it works. People are building successful niche sites all the time (its not easy, but very doable). I didn’t intend to imply that others can’t replicate it, but I still believe the exposure here had a lot to do with the time frame of his success. I’ve followed his advice through his blog and made my first site. It’s been an absolute awesome journey. There is no doubt that it’s 100% replicable, but it involves detailed KW research, strategy, hard work, and a drive. Are you not seeing similar results with yours Dave? I’m 7 days into the process, and I’ve netted $24.98 in commissions, with more sales pending. Not bad I guess, since that’s where Perrin was in his first month. I don’t think I’ve quite nailed down the whole keyword thing. I have quite a stable of sites – some do VERY well, on par with the razor site in the case study, some do what I would call average ($100 – $300 a month) and some just never do anything more than a few bucks. But darned if I can figure out why some succeed and others don’t. I use the same process for them all. Nice job mate. I checked several niche websites and my conclusion: PNB is the Gold Nugget for ranking right now. I’m just wondering how long it would last though. Awesome Perrin and Spencer. Great work! Congratulations for your earning. Hope to reach your results soon ;). I never heard about RankHero and it looks not bad at all. Unfortunately for me, I used TheHost 2 days ago but to be sincere I don’t know what it’s worth or if it’s better than RankHero. Anyway, I will tell you my result later. Its not really hard to tell Perrin. Check some of your competitors and you will see that they are linking from PNB no doubt at all. Can I send you a private email? The more I read your updates, the more interested I get. I have to admit – I am still hesitant after so many scams that I have looked into. With a very limited amount of funds, we have to be very careful. But this is looking more and more interesting. Another awesome month. Great work, Perrin! Good catch on the RankHero links. Exciting that it solved the problem. Well done perrin! I have been following along since the beginning and am happy that you’re doing so well. I’ve been trying to follow all of your steps and build up my own niche site, and while I’m ranking for some keywords and getting some traffic, it’s not much yet and I havent made my money back. I’ve been looking into rank hero for a while, and since you have had so much success with it I’ll probably give it a try! Inspirational!! Thanks for disclosing the earnings. Well, regarding RankHero, even a minimum of 5 post credits/month costs $197, which is quite high. But what is so discouraging is that the links won’t stay on the homepage and will be pushed to inner pages when new posts are added. The rest assured, its quite a powerful network with an average PA of 35+. What do you say? Any other PBN you recommend for chasing keywords in a low/medium competitive niche? I would just say that the results speak for themselves. Yes, there are other PBNs out there or you can build your own. Great stuff Perrin – quick question? You said you sent 10 other links, was wondering what kind of anchor text you used? Thanks. Great income stats! Extremely encouraging update. Thanks Perrin and Spencer. This gives me hope since I just started my own Amazon based niche site. Looks like I may have just wasted my money on Social ADR looking to get some social media links. It seems I should have invested in Rank Hero or finally pursued building my own PBN. I came across one of Perrins sites and it is a mega niche! No I’m not going to mention what it is! Funny thing was though, I had already started it before Perrins site had started ranking…. and now his is about number 2ish in the serps. I’ve only just published mine and got lots more to do to it! Any hows keep up the awesome work guys. Great to see the site’s continuing to do well! These kinds of posts are great inspiration, especially when your own efforts of late have been less than what you expected. I took your advice and got the EasyAzon app for my website. My goal is to get $500/month income. I am also starting with a $500 budget. My friend and I have been writing about our experience building our niche sites on our website, Niche Island. Can’t wait to see what happens next with a penny shaved! You are correct! Great content is also very important – its not just about the SEO tactics. 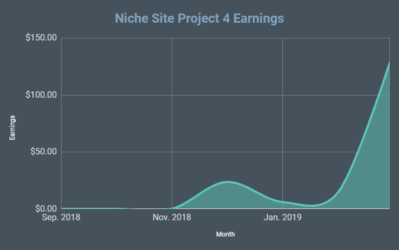 I was able to track down a few of your niche sites (pretty easy with the footprint you leave) and notice a bunch of PBN links from domains which I very much doubt are RankHero as they are not built out as well. Are these from your own private network? I would just urge folks to be careful with public networks like rankhero or similar. I suspect it’s only a matter of time before the big G crushes them and your site with it. So just weigh up the risks. One thing is for sure, niche site building is growing in popularity. It seems every new keyword I check out has 3 or 4 niche sites on page 1 these days! Great Job Perrin! Very strong consistent earnings. I agree with you to get spending on the site. Makes no sense now you’re earning to spend when needed. I understand your fear over the site being attacked. I think it’s inevitable when you publicly reveal a site like this – someone will get jealous or spam it just for the sake of it. 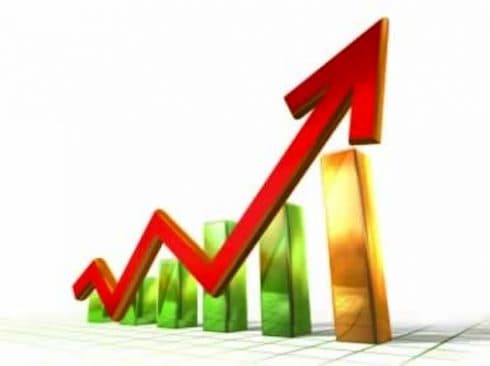 Now you’re building out more sites hopefully even if this one drops its rankings you’ll still be bring money in. Keep up the good work, love to read the updates! Can you explain Rank Hero pricing? It says $197 for 5 posts per month. Does that mean the $197 covers more than one month? If so, then how many months does it cover? Or is it $197 per month, and the 5 posts must be used withing a month? I could not find an explanation. Thanks! The cost if $197 per month. So, you get 5 new post credits each month. You can use the post credits at anytime (doesn’t have to be in one month). If you ever cancel, the links are permanent, so they will always remain live and never taken down. And if you have unused credits after you cancel, you still have access to use those at anytime. Hope that helps! One thing worth pointing out if you are comparing PBN networks: RankHero makes you provide your own articles which keeps the effort on their end very low (smart) and pretty high on yours. Creation of articles is a cost factor you will have to keep in mind! I’m currently using a PBN that costs $300 but includes the creation of articles. Great work guys. Do you see the shaver site growing much more? I realize that there are other related topics that you could cover, but I am wondering when the time = money will determine that it is time to just focus on upkeep now. Also, will you ever put the steps you followed to build the site in a concise manual? Just thought I’d share my thoughts on Rank Hero. I’ve only purchased 1 month of 5 posts and I’m very pleased with the results. Part of the reason for purchasing was to see how a proper PBN site is set up so I could use that info to start creating my own PBN. From the different professional looking layouts and high quality content, to the believable “About Us” pages, the sites look high-quality and the domains themselves have powerful metrics. A one month subscription has already paid for itself for the 2 affiliate sites I targeted and I’ve learned a lot about how to setup these types of sites. Tip: You can easily target two different sites in each post you submit as long as they are in an even remotely similar niche. I’m sure I’ll subscribe again soon for either the same or different money sites. Do not recommend putting two of your money sites in a single PBN post. Too much footprint. How would that be different from putting a single link on two separate posts on the same site? Congrats on the great success, Perrin! It’s truly inspiring. Quick question about RankHero – Are the posts you submit to their network of sites original/unique or are they posts you already have on your site? I’m looking into purchasing a plan with them and this part seems a little unclear and potentially time consuming. Ryan – YOU provide the unique content. It must be decent quality as each piece goes through a manual review process. It needs to somehow tie in with the theme of the site (they provide ideas specific to each site). While slightly more work, this is a good thing! It’s unlike the typical PBNs where any content on any subject matter gets randomly posted. Intriguing post, and well done, Perrin! Goes to show just how powerful PBN’s are working right now. I’m going after super competitive keywords right now and PBN’s are my number #1 strategy, seems to be working. Will definitely look into Rank Hero in more detail. Hey just wanted to drop in and congratulate Perrin on his ongoing success. It’s awesome to see your hard work paying off! I think it is well deserved.. no doubt your site has created a ton of value for many a shopper looking for the best shaving gear. Also, I wanted to thank you and Spencer for sharing the Niche Site Project 2 with all of us. Obviously this project was a huge investment of your time and documenting the entire process was a tall order. Sure it fits in nicely with the overarching services and strategies of Niche Pursuits but the bottom line is you could have spent your energy elsewhere and you decided to help others like myself by making the project public. I was a complete beginner in the online business space (hell I didn’t even have one website to my name), I’ve now built my first Amazon money site through following your process here. It’s been a little less than 2 months and while I haven’t had amazing success (made a few blunders here and there that I’ve hopefully patched up) that first trickle of traffic is coming in and it’s exciting to watch. It’s a pretty cool feeling to know people are viewing and experiencing something that I created! Overall, it’s been a great learning experience for me.. I think without this project as a resource it would have taken me 2-3 times as long. I’d encourage anyone who new to niche sites and may be on the fence about starting a site to jump in and do it. Maybe your first site won’t be a home run but you’ll learn a ton and having a web presence can be a big eye opener as to what is possible. Anyways, thanks again Perrin and Spencer. Hope your future projects go just as well! Thanks for the kind words Corbin! Great to hear that you are able to apply what we’ve shared during this project and build your own site. Best of luck! Reading through so many comments here, I notice most of the guys are very scared of PBN. Let me tell you guys, PBN works. All my sites are ranking in page one with PBN. I didn’t sign up with Rank Hero but other PBN. If you still on the fence, just read more about PBN from Alex Becker. Glen from Viperchill is another one. These are the guys who are preaching PBN all the times and they are rocking all the way up in google. Whether you like it or not, PBN is here to say. BTW, Perrin, congratulations with your success. Perhaps you should look at a drop shipping model rather than affiliate/associates account and then send the traffic to your own Amazon product listing – your income might increase 5-10 times that much. I have a quick question about Rank Hero, probably best for Spencer. I understand Rank Hero helps you climb the rankings. But I’m wondering, if Google ever eventually “caught up” to the paid backlinking and docked you your rankings for it, can that have further negative consequences? 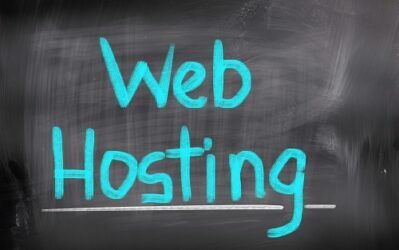 In other words, if you have multiple websites on a host, and Google one day doesn’t like your Rank Hero links and penalizes you for it, is there a way they can also penalize your other websites that are operating on the same host? And how does Adsense play a role? If your website gets docked for paid links by Google, can that hurt your Google Adsense account? Sure, there is always risk. No one should use PBNs without understanding the potential risks and rewards. Hi there! Just wanted to say congratulations to Perrin for his success. 🙂 I’m 19 years old and in college. I too want to be an internet entrepreneur so this whole site is a huge inspiration. Also, kudos to you Spencer, for not charging for access to these case studies. They are extremely valuable and I would probably pay for them haha. I just have one question for you though, I know that alot of niche site developers have over 100 websites that they operate. At what point do you stop focusing on a particular website and let it run on auto pilot? Or maybe you don’t ever leave them and actively update them frequently? Yep, niche sites are pretty passive. Its usually after the first few months after creation that I leave a site alone (don’t add new content). Unless its a big earner, then I may constantly pay attention to it, otherwise is passive. Hi Spencer, I have a question about Rank Hero. Can it be used for sites not in english? I have a few sites in spanish languages, but i´m not sure if Rank Hero only contains sites in english. Spencer and Perrin, I really appreciate the work you both have done with Niche Projects 1/2. I had been looking into this for a week or so, but wasn’t convinced money could be made until I read your chronicles. I’m about 3-4 weeks into my first niche site. But, my rankings keep jumping all over the place. Days at 500+. Followed by a day or two around 200. Then, back at 500+. I haven’t done much backlinking yet. But, both of your sites seem to have been ranked below 100 before you started much backlinking. If I was convinced that a PBN would help, I might spend the money. But, the costs seem HIGH. And, I’m not convinced I’m not getting some sort of Google penalty that a PBN wouldn’t fix. Perrin, I’d love to hear what your Google rankings did when your numbers dropped at the beginning of Feb. Did you go 500+? Or, just drop a little? Is the kind of fluctuation I’m seeing normal 3-4 weeks into a niche? Yes, the fluctuation you are seeing is normal for a new site. It can take 2 to 3 months before a site really starts to show much progress. 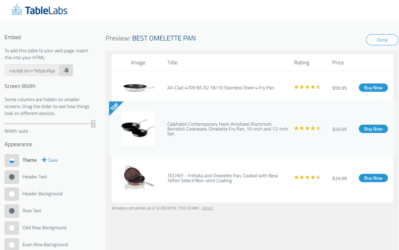 Great Progress, but have you thought about turning it into an eCommerce site? Once you build the framework etc and get it working, you could outsource all the admin and make a much bigger profit, i think. Maybe team up with some eCommerce people and see what you could do, would be a pretty interesting and unique caase study! Great work love reading your work gives me inspiration! I have a question about rank hero and anchor keyword. I see a lot of your anchor tags are Perrin and read more etc. Is it better for have keywords like ‘read more’ rather then your target keyword, and If I place a order for rank hero PBN shall i give these anchor keywords? Hi Spencer, Have to say, as usual, this is another post jam-packed full of stuff to read. Nice to be here again to read an informative post on blogging. That was totally awesome. Congratulations to both of you. Thank you both for the inspiration. I have finally stepped up my game and I am diligently following your step by step approach. Your earning numbers are very impressive! What a great blessing it is for me to have found your site, yesterday and to have found this case case study. I’ve been fortunate to have time to go through this whole case study in 2 days. Thank you Spencer for taking the time in sharing your expertise. Thank you Perrin for you great questions and your ability to share with us this amazing project. And Spencer I wanted to give a shout out to your great community at Niche Pursuits. I have also learned an incredible amount from the blog comments. This community is so supportive. You guys and gals rock. One question: I know the cost of this wouldn’t permit this for your budget but would adding a video of Perrin actually using and reviewing the product help in google eyes? Your websites visitors? Would it give it more authority …trust for your visitors? Thanks again for all of this amazing info. And thank you Universe for bringing this to me. Sure, I think a video would be helpful basically in all areas you mentioned: probably lead to longer time on site and provide good signals to google. It would be great if you could give quick lessons on clickbank and more importantly adsense. Sorry if this is a bit off topic, but I’m interested in the structure of the Apennyshaved website. Looking at your pages I see that some are set to “no index” but “follow”. Did you do this manually? And so, why? Thanks for inspiring me to keep building sites. I like getting the updates on the things you do. In the last coaching call (Income Report and Podcast for January 2014!) you talked about that apennyshaved.com is full of breadcrumbs, tag pages and categories. You said that you where going to do it differently for your future projects since it could be bad for SEO, but you didn’t go deep into it. Since I am fairly new at building websites and use apennyshaved.com as a model for my site, it confuses me. Could you please tell me more in detail how apennyshaved.com could be organized better? I mean, how could it be organized without any categories for example? Spencer, I am seriously thinking of trying Rank Hero for one of my sites. Thank you very much for everything. I admit it is a remarkable achievement. but, how do you achieve it? whether to get this rank you are using a blog network? That’s way too high earnings buddy,now your hard work on blog really pays you well. Hi Spencer, A penny shaved looks like a great site. Shows me the high quality that niche review sites need to be to make money and have longevity. Can I ask, who wrote your articles? do you get them outsourced and are they good enough to post straight as it or do you have to tweak them, maybe SEO them? thanks for your findings. Especially it is interesting that you detected which links caused the drop and found a way to replace the links. Maked me think that it is really critical to track the rankings. One question: How do you deal with the growing “not provided” issue? Do you only track the keywords you have optimized your pages? I run a blog for a few years now and want to get serious with tracking. I want to use the Long Tail Pro tracker to do so. But I wonder how to feed the tracker? Do you have a good way to find out for which keywords which page ranks? I know there are some infos in the webmaster tools, but beyond that? Webmaster tools is probably the best way to find out what keywords you are ranking for right now. Hey Spencer, thanks for your help! Regarding RankHero, are you paying monthly? Or, was that early Feb purchase a one time cost? Or, are you expecting to have to do this again every ‘X’ months? I guess the thing I’m not understanding about RankHero is how permanent these links are. Will they eventually scroll of a page and you lose that backlink? Or, is it something that stays around “forever” and you just add more as competition increases or ?? I’m sure you’re tired of hearing it (actually, I’m guessing not; so I’ll continue 🙂 ), but what both of you are doing with the Niche Projects is tremendously helpful to those of us trying to get into this business. Fantastic job on all of your work!! Niche job Perrin, I am interested to see what is necessary to maintain your earnings. I also question the value of using a service such as Rank Hero vs building your own network. The same 197.00 a month for 5 more links could go a long way into purchasing expired domains provided you already have hosting. You would get a lot more than 5 links a month and what I would think would be a much better return of investment…..just a thought. I found your website lately, read through this Niche Project 2 and it’s really amazing. I learned a lot too! You both have done a great job, both in building the niche site and teaching us who learned from your website! – I’m an affiliate marketer with links to an online retailer on my website. When people click on those links and buy something from the retailer, I earn a commission. What do I have to disclose? Where should the disclosure be? – Would a button that says DISCLOSURE, LEGAL, or something like that be sufficient disclosure? – No. A button isn’t likely to be sufficient. How often do you click on those buttons when you visit someone else’s site? If you provide the information as part of your message, your audience is less likely to miss it. – As for where to place a disclosure, the guiding principle is that it has to be clear and conspicuous. Putting disclosures in obscure places – for example, buried on an ABOUT US or GENERAL INFO page, behind a poorly labeled hyperlink or in a terms of service agreement – isn’t good enough. The average person who visits your site must be able to notice your disclosure, read it and understand it. You should follow the guidelines to the best of your abilities. Spencer or Perrin, I noticed there are only 2 sites ranking above APennyShaved on Google’s 1st page for the keyword phrase, “best safety razor”. When I look at the metrics of all 10 using LTP (KC, PA, mozRank, Links, etc. ), I don’t see a clear reason why Perrin’s site is 3rd and some of the others with a higher KC or more juice page links are not higher. The numbers are all over the board! How would we duplicate your success when it seems so arbitrary, statistically? That’s correct. I moved the site to a new domain where its up and running. But I’m keeping it private because of all the negative SEO the previous site was receiving. In this case are these keywords relatively easy to rank? Its worth a shot, and can work – but it really depends on each keyword. 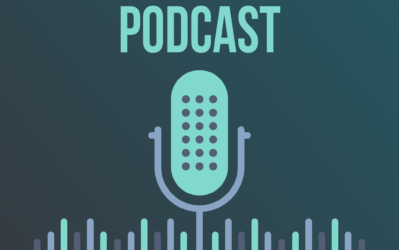 Would love to hear a new podcast soon! Very inspiring story. Makes me want to build my own niche website. Keep up the updates. Thanks so much for sharing such good information! Do you think the niche site market will become over crowded with the ease that sites can be created? I hope not! The niche site work all around is an inspiration, from idea to monetization, to marketing, to writing. You deserve every penny you make from it. Thank you for spending the time to share your successful steps with us! Spencer, I stumbled upon this February update on your home page. 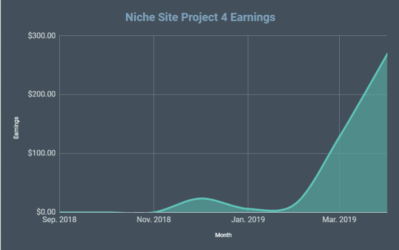 You should think about adding it to your Niche Site 2 project overview page (https://www.nichepursuits.com/niche-site-project-2-overview/). I was really looking for the update on that page for days before I found it on your home page. Wow, you are right! I thought I had added that income report to the list…thanks for the heads up! Its added now. No problem! I figured it was something like that. You and Perrin provide such valuable info. These Niche Projects have been an inspiration to me. I keep going back and reading them again and again to make sure I haven’t missed something. Keep up the great work! Thanks Spencer and Perrin for inspiration and motivation. By following your case study 1 and 2, I also started my first niche site in the month of January 2014. I have followed each and every strategy you guys mentioned in the case study 2, and here I am today! Now, that 3 months have passed, I am getting about 100 unique visitors to the site with 6% conversion ratio. This means my site is getting me at least 6 sales every 100 visitors. And the month of March has earned me close to 30 bucks from Amazon sales. I hope you will keep on making at least one niche site case study every year so that we the niche site community gets to know the latest SEO changes and techniques. Thanks again to Spencer, Perrin and Awesome NichePursuits Community. Thanks Vishal, best of luck! when you wrote about the drop in traffic you said about the lost link: “So, it really wasn’t worth my time to go try to get that link back, since it probably wouldn’t help me recover”. Don’t you thnk that now that you regained your traffic it would be worth getting the link from that site back (although from a lower value page) to dilute your link profile? You writing (“… one of my best backlinks”) implied that the link came from a highly ranked site, so this new links page could gain in authority over time and the benefits trickle over to your site. I’m little bit disturbed with larger logo/header image in the Splash theme. Looking for this update.